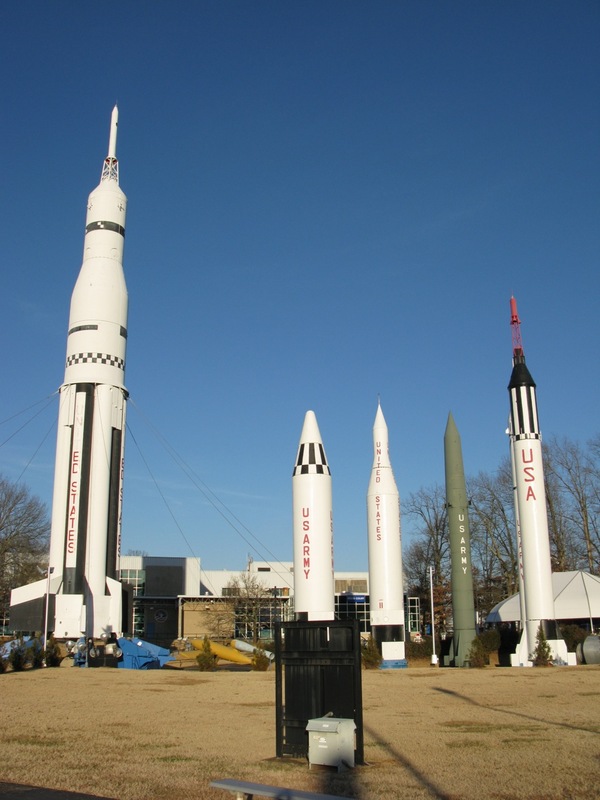 The U.S. Space & Rocket Center is recognized as one of the most comprehensive U.S. manned space flight hardware museums in the world. 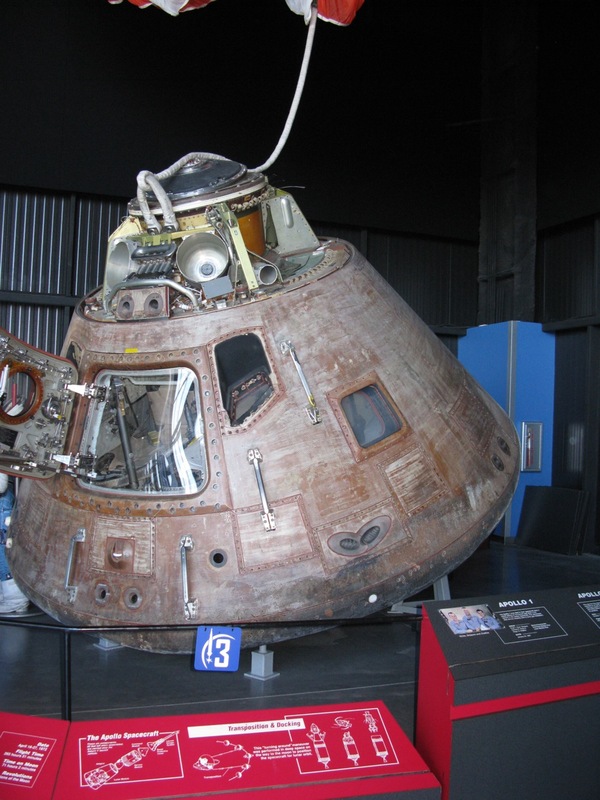 Their facilities include Spacedome Theater, Rocket Park, the Education Training Center, which houses NASA's Educator Resource Center, and more. The Davidson Center for Space Exploration is like no other in the country. In its 476 foot long, 90 foot wide and 63 foot high structure, suspended 10 feet above the floor, is a national historic treasure, the mighty Saturn V, restored to its Apollo-era readiness. 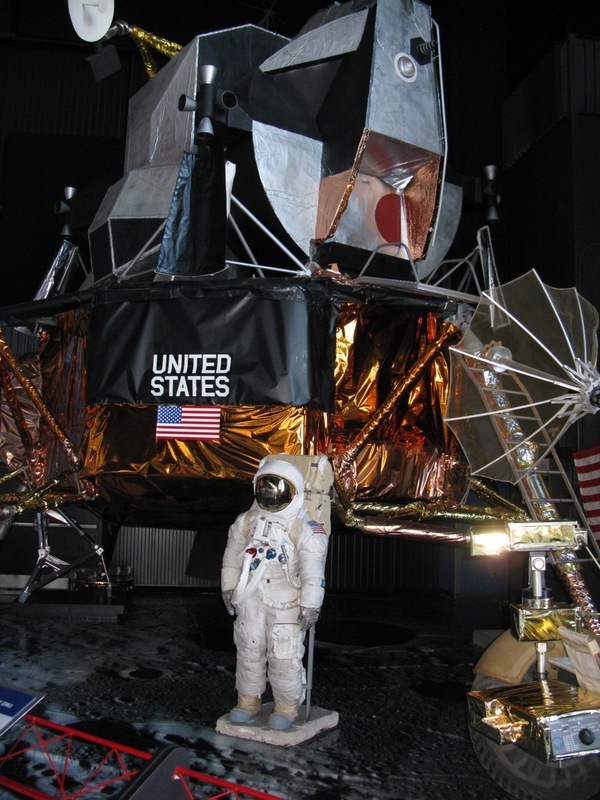 Visitors to the U.S. Space & Rocket Center will experience Huntsville's role in the making of the moon rocket, the space race, the Apollo missions, learn about the Space Shuttle program, the International Space Station and onto the next beginnings with NASA's Constellation project. If you're looking for the time of year with the fewest crowds, you might try December, January or the first half of February. With less people onsite, you'll have a more time to really study the displays. A replica of a Saturn V rocket stands at the entrance to the museum. Another view of the Saturn V replica. A full-size model of a Space Shuttle. This is a huge building housing a real Saturn V rocket, a theater, and numerous displays. 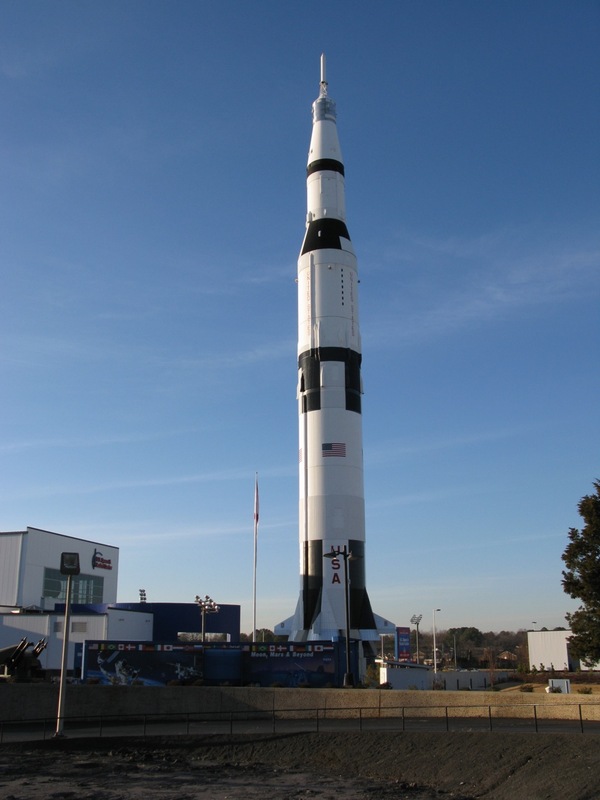 A real Saturn V rocket is on display in this building. are separated to facilitate understanding how the rocket worked. The Saturn V rocket engines. An actual capsule form the Apollo program. The same display showing how the capsule parachuted back to Earth. A 1:10 scale model of the Ares V rocket (on the left) and an Ares I (on the right). These rockets were supposed to replace the United States Space Shuttle fleet. Only time will tell if this program ever becomes a reality. A display poster on the Ares I. A display poster for the Ares V.
A model of various units of the International Space Station are on display in several trailers in the Rocket Park. This is an astronaut's bed, by the way! The Space Museum houses many, many rocket- and space-related exhibits. It also is where the iMax theater and gift shops are located. 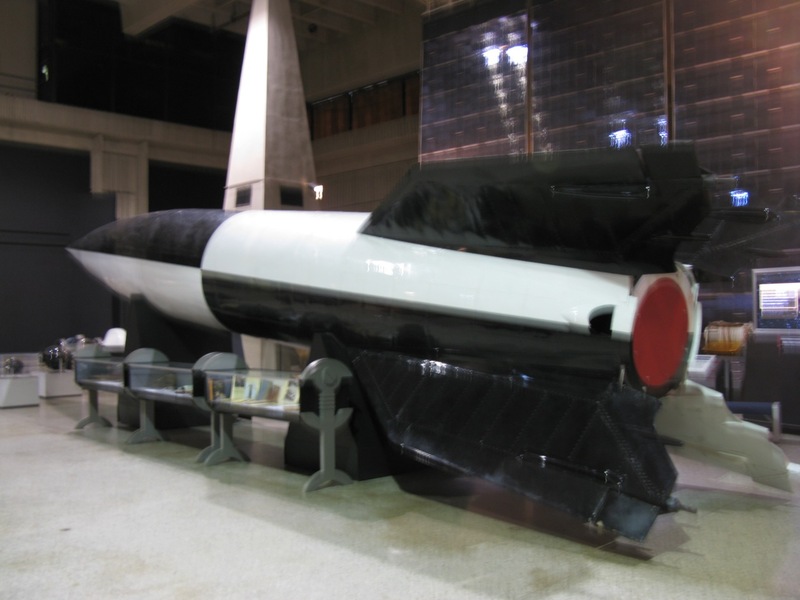 A V-2 Buzz Bomb form World War II. Below are photos of Dr. von Braun's office. Notice the slide rule on the desk. Imagine what Dr. von Braun could have done with today's computers! The entrance to Space Camp. The lobby of the Space Camp building. From Wikipedia.com: U.S. Space Camp is hosted by the U.S. Space & Rocket Center in Huntsville, Alabama. 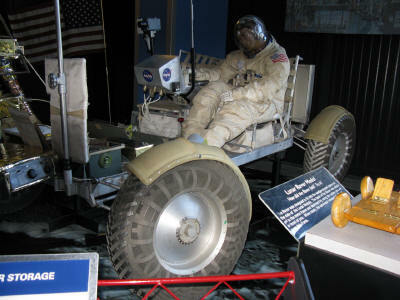 "Space Camp" refers to both the actual camp and a family of related camp programs offered year-round by the facility. The camp provides residential and day camp educational programs for children in various age groups and adults. 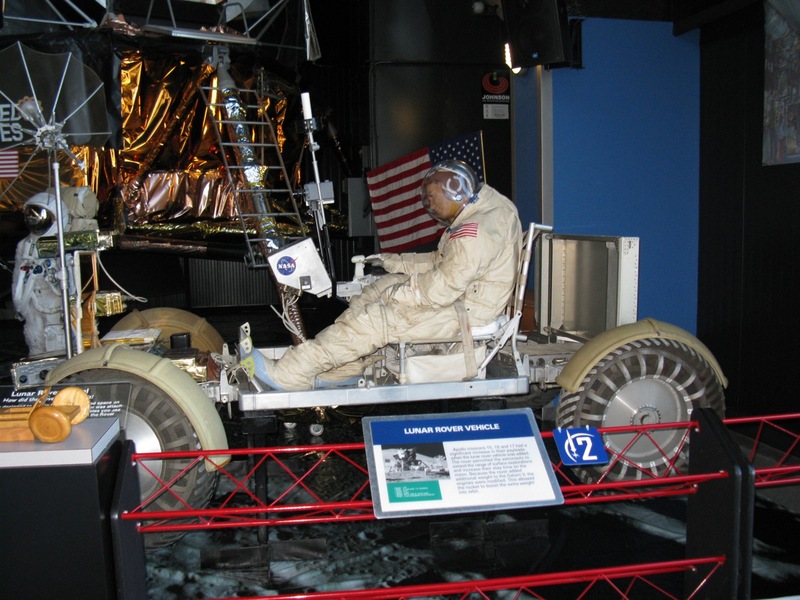 These programs include space oriented camp programs, aircraft themed Aviation Challenge camps, and outdoor oriented X-Camp programs, with the intent to promote science, engineering, aviation and exploration.